Some of you probably recognize the percentage in the title. It is more common than you think. I wonder why we always default to 95 or 98 percent for things. Do we really know what is 95 percent of something? Or even 98 percent? In trying to assess the completeness of the basement remodel project I struggles with a percentage. Should I do it by dollars spent? Or the time taken to perform the activities far divided by the total time I expect remaining? I am just estimating, and probably poorly at that. Today marks the 91.87 percent completion for the year 2018. 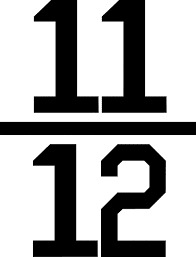 Being that it is the last day of December, the year is 11/12ths complete. While 2018 has not been one of my better years, it has been a solid year. I have great memories of the family cruise aboard Allure of the Seas and I have great memories of spending time with friends and traveling to Florida. There was a great Kenny Chesney concert as well. I will spend time giving over my blogs pulling together the memories of the year that is nearly complete. 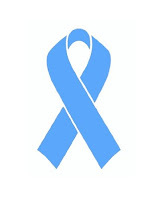 Today also marks the 86.36 percent completion of my prostate cancer treatments. By the end of the day I will have completed 38 of the 44 schedules sessions, leaving 6 to go! My how the time has flown. It really has. 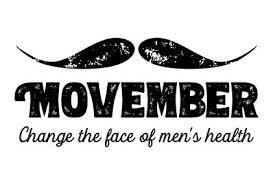 Today also is the last day of Movember. 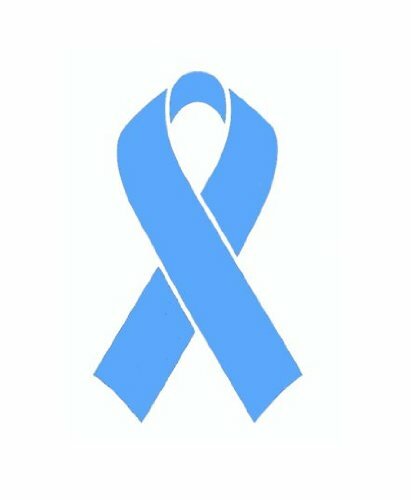 That does not mean that I will stop advocating for men's health issues--that is a full time project. But, I will likely shave my mustache over the weekend. Maybe I'll take an image of it before I do!